Reynolds’ division arrives south of McCook. The group that continued up the Lafayette Road with General Reynolds realizes their mistake, and after encountering friendly skirmishers, move to rejoin the division. 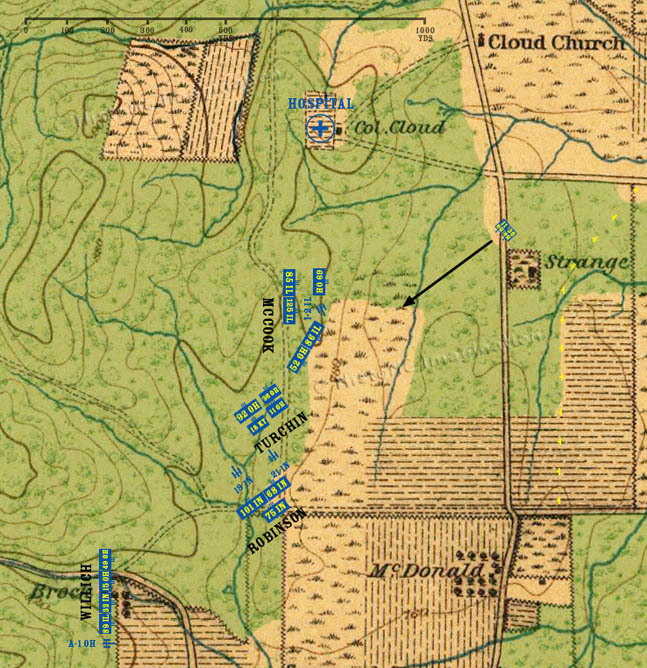 General Thomas orders Willich’s brigade, after its orderly withdrawal from Kelly Field, to take up a defensive position in a gap along the McFarland Gap road.